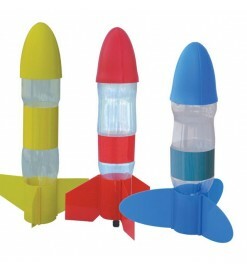 Water rocket kits alone, without equipment for the launch. 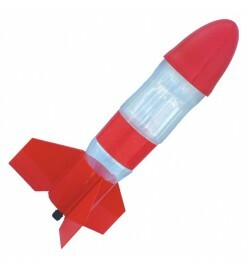 They consist of a nose cone, fins and nozzle and suitable for any PET bottle plastic half-liter up to a liter and a half. Rockets only There are 2 products.